Students reveal the final total for Dance Marathon 2017: $1,253,596. The total is just over last year's, which was $1,201,216. 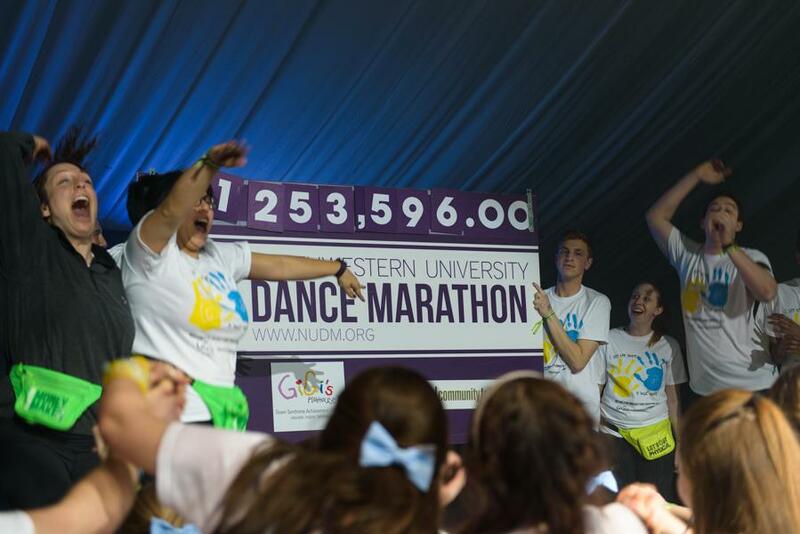 Dance Marathon 2017 raised $1,253,596, reaching a total of more than $1 million for the seventh consecutive year and just over $50,000 more than the 2016 total. The finance committee announced early Sunday morning that GiGi’s Playhouse received $983,833 — which DM co-chairs said is the largest single check DM has presented to its primary beneficiary. The money will go toward offering free educational and therapeutic programs for children and adults with Down syndrome. DM presented the Evanston Community Foundation, DM’s secondary beneficiary of 20 years, with $109,314 — the largest check to ECF in DM’s history — so the foundation can continue supporting community organizations and projects.